Another year has gone by and with every year comes the discussion of snubs. This certainly isn’t a new thing either, the Academy has been snubbing great films ever since their first ceremony in 1929. And of course this year is no exception either. 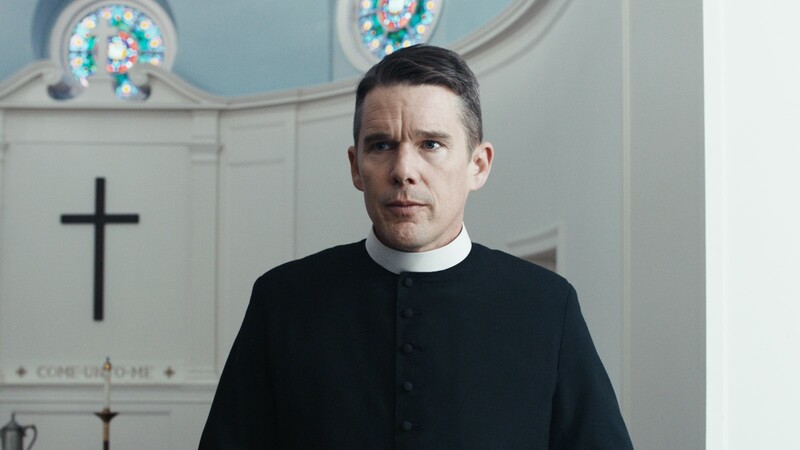 This year we have 8 Best Picture nominees and looking through them it’s pretty clear the Academy was aiming for popularity this time around, and one can assume this is because of the declining ratings they’ve been having the last several years. As it stands the lowest grossing film of the nominees is “The Favourite” which currently has $54 Million in worldwide income, although it should be noted that Netflix has yet to release the numbers for “Roma”, the rest are up in the blockbuster numbers. With the recent speculation that the Academy was going to create a “Popular Award” this shouldn’t surprise anyone that this is the way they went with the nominations, the Academy will change their ways as long as it directly benefits them and this is what they think they need to do to bring back viewers. With that being said their selection could definitely be broader and take more into consideration, so that’s what’s going to be highlighted here. This list isn’t meant to criticize the films that were nominated for Best Picture but rather showcase a world of cinema that was talented enough or important enough to deserve to be called one of the best of the year. With that being said here are 10 Great 2018 Films that Should’ve Been Nominated for Best Picture. Much like what Paul Greengrass did with the September 11th attacks in “United 93” he achieves the same effect with his newest film “22 July”. Detailing the terrorist attacks on July 22, 2011 in which a terrorist, claiming to be the leader of a white nationalist group, loaded a van with explosives to blow up a government building which held the office of Prime Minister Jens Stoltenberg and proceeded to infiltrate a summer camp where the children of these political figures were and shot dozens of them dead. In the end sixty-nine people were killed and two-hundred-nine were injured in these horrific attacks. Greengrass steadily weaves us through the attacks themselves and the aftermath of it ranging from the physical and mental recovery of the survivors, the trial of the terrorist himself, and the political system in which this is dealt with. The opening images alone are striking enough as it is, not just for the events depicted but because of Greengrass’s natural ability to create a visceral impact. We know Greengrass’s talents in works like “The Bourne” movies and it’s a similar strategy here. The action is filmed in a raw, up close manner which places us in the field where murders are happening that perfectly showcases his ability for cinéma vérité. The key difference is whereas with heroes like Jason Bourne we’re meant to be sucked into the action, in “22 July” we’re brought down into the most unbearable of experiences with the most evil of humanity. Of course selling this film on its opening thirty minutes would be doing it a disservice. What follows is a road to recovery, redemption, and justice. You can’t make a film about every person involved so the film wisely keeps itself locked on the figures that matter most. More specifically one survivor Viljar Hanssen (Jonas Strand Gravli), the terrorist himself Anders Behring Breivik (Anders Danielsen Lie), and his defense attorney Geir Lippestad (Jon Oigarden). The tragedy we witness is hard to bare but is ultimately a triumphant experience. In the years since these attacks we’ve had no shortage of terrorism in the face of progress, hell one of the best picture nominees “BlacKkKlansman” was dedicated to Heather Heyer who was tragically killed when a man drove his car into a crowd of protestors in Charlottesville. Sadly events such as these are an everyday occurrence in our current world both before and after this film came out. I don’t need to tell any of you that we live in a world of hate, but films like “22 July” showcase to us that hope and love is what conquers this. As cliché as that might sound it’s still true and sadly not enough people understand it, make sure you’re one of the people who do. At the center of Alex Garland’s newest film “Annihilation” is ‘the shimmer’, an abstract extraterrestrial force that evolves and changes the characteristics of the area it occupies. It’s fitting because in many ways that’s exactly what the film is about. As each character enters into the shimmer their characteristics start to change both on an internal and external level. Of course prior to this their inner selves were already broken due to their own past decisions and experiences. Now their inner demons are being manifested into external forces for them to fight on a physical level or an emotional one. I don’t usually make comparisons to the likes of Tarkovsky and Kubrick but it feels all too fitting with this one but what separates Garland is his ability to tell deeply human stories within his methods. The performances across the board are nothing short of great, Portman and Leigh in particular convey a world of pain within themselves that serves to the films themes of corruption and duality. This corruption within their souls is what’s fueling their mission, not just a discovery of what this environment is but also their journeys of redeeming themselves for past decisions they’ve made. Garland films with beautiful yet haunting imagery, the feeling is otherworldly and alienating which creates the perfect sense of awe inspiring and terrifying at the same time. Garland collaborates once again with cinematographer Rob Hardy, he was also the cinematographer for “Ex-Machina”, and together they craft a mysterious feel with the natural world. The environment created balances a blend of naturalism and science fiction which is where its Tarkovsky like methods are felt the most. Science fiction in its most pervasive form is used to give a discomfiting look at our world, and that’s where the environment of this film is at its most interesting in how it keeps itself so grounded in a forest and nature like setting while deteriorating itself. There’s much to be read into with this film and intentionally so. 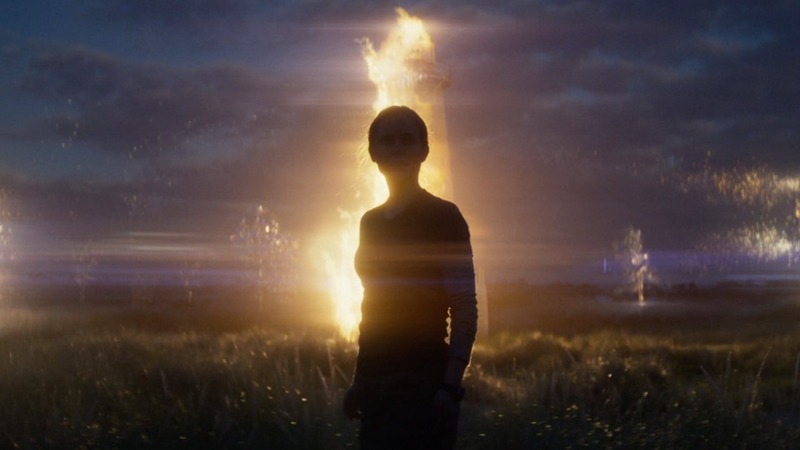 What’s great about “Annihilation” is that where most journey stories have a great build up for an unfulfilling payoff this gives us a payoff that leaves itself with such ambiguity so people will dissect its various meanings for years to come. 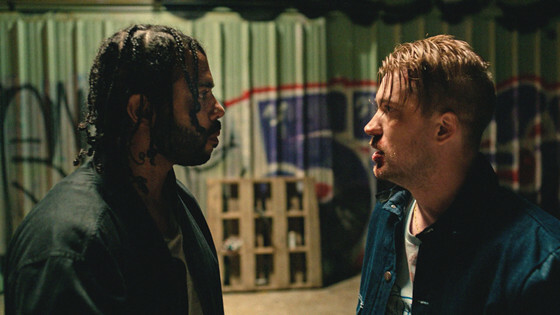 The best character duo of the year goes to Miles and Collin, and fittingly enough they were co-written and played by two real life friends Daveed Diggs and Rafael Casal. Together they craft a street story set in the neighborhoods of Oakland, California in which two lifelong friends spend every day with each other. They work together, hang out together, and get into trouble together. Or at the very least Collin gets into trouble because of Miles’ hot tempered attitude, despite this their friendship remains intact. Collin is currently serving probation having been tried for a crime Miles started, he only has three days left on probation and is hoping for nothing more than to stay out of trouble. This becomes difficult when he witnesses a white police officer wrongfully killing a black man, he goes these next three days haunted by this image. This is where the film takes on its greatest technical strength, the juxtaposition between the hardships of reality combined with an otherworldly tone strikes a balance between the grounded and the surreal but never feels lost. Perfectly balancing moments of fear and danger with moments of friendship and genuine love but never feeling forced or out of place. In our current world race relations are becoming more and more black and white, no pun intended. The concepts of intersectionality have been a prominent theme in films for couple years now, and for good reason. According to ‘Snopes’, black Americans are 250% more likely to be killed or arrested by the police than white Americans. While Miles is the one committing the crimes Collin is the one who takes the blame for it because he is black. It’s a hard truth for both of them to comprehend but even though their character and attitudes may say otherwise, to the rest of the world Collin will always be seen as the criminal even though Miles actually is the criminal. All of these feelings are boiling inside Collin until it finally culminates in one of the year’s best scenes, and one of the decade’s best climaxes, in which Collin finally lashes it all out in a cathartic masterpiece of word play, tension, and acting. That’s the work of a great film. In the beginning of “Burning” we meet Lee and Shin, they coincidentally bump into each other after having not seen each other for years. They were friends in their childhood but slowly grew away from each other during their later school years. They catch up with one another and just like them, we as an audience learn more of them. Lee is a quiet young man who tends to his father’s property near the North Korean border while he works on his anger issues in court. Shin has spent her time becoming talented in the art of pantomime. In one early scene where they catch up with one another she demonstrates her skills by simulating the act of eating a tangerine, he’s amazed with the level of detail in which she does this illusion. These character traits and events set up the undercurrent of what drives this film, hunger. Each character is hungry for something but satisfying their hunger is a tense and uneasy road. Their current setting is surrounded with the social and political ramifications of North and South Korea that only seem to enhance the drive they’re going through. When Shin travels to Africa she entrusts Lee to watch over her cat while she’s gone and this positions Lee, in his own mind at least, that there’s a connection to rekindle. So you can imagine what’s going through his mind when she returns home with another man she met over there named Ben. Fittingly Lee is an aspiring writer, in one exchange he remarks “there are so many Gatsby’s in Korea.” Much like “The Great Gatsby” we find ourselves in a divided social structure, Ben is obviously a Gatsby type of character who has wealth, nice cars, but personality wise is unassuming and untrustworthy, at least in Lee’s eyes. This was the first film director Lee Chang-Dong directed in eight years and it’s great to see he hasn’t missed a step during his absence. What he presents is a largely human drama in which all of its complex mysteries and thrills are imbedded deep within its human characters. In many ways this is a revenge thriller that never presents itself as such, avoiding conventional trademarks of its genre. There’s a sense of danger at almost every turn in “Burning” but the reasons and causes are always left ambiguous and we can never see where they’re coming from, and that’s what it’s all about. I don’t think there’s an adult alive who can’t relate in some way to the painful feeling of love that’s felt in “Cold War”. The kind of love that burrows so deep that we can’t help but feel pain when it’s over. This is a universal emotion and a timeless concept for this very reason. Much like how Bogart and Bergman captured our hearts and left us in bittersweet emotion back in 1942, director Pawel Pawlikowski does the very same. And much like the classic story of “Casablanca” we’re transported into a period piece that feels like a distant culture and yet will never fade away. This time we’re set in Poland during the cold war era after World War II. Two aspiring musicians Wiktor (Tomasz Kot) and Zula (Joanna Kulig) are on different sides of the life scale but even so fall in love with all of the passion and destruction that comes with. They play jazz music in an age of propaganda that’s unavoidable, they have a passion for what they do but not for the reasons why they’re doing it. They want nothing more than to get out and escape but the cost of which will involve a big decision. There’s an aura to “Cold War” that’s hard to capture. Much of it comes down to its aesthetic choices, the choice of black and white is a beautifully sad one. It captures an era that feels so long ago but conveys a bleak world view that those who lived through it understand. Upon its release the film was receiving great critical acclaim, earning it a strong reputation at Cannes last summer, especially with Pawlikowski winning Best Director. And to be fair the Academy gave it some nice recognition for Foreign Language Film, Cinematography, and even Best Director. All of which are rightfully deserved. The Academy has a bizarre rule structure with their Best Picture nominations where they are allowed up to 10 nominees, but for whatever reason they almost never go up to 10. This year we got 8 nominees for the grand prize, and with the critical reception with “Roma” it’s not surprising they chose that for the foreign film nominee for Best Picture. The Academy has a long history of putting hurdles in front of foreign and independent films in order to limit the list of nominees they have to choose from, sadly this is no exception.